Wedding season is just around the corner and it’s time to bring on the glitter! These days adding a little “pop” here and there is a beautiful and fun way to decorate your day. I know most of us don’t mind a little sparkle in our lives, so why not add a touch to our big day as well! 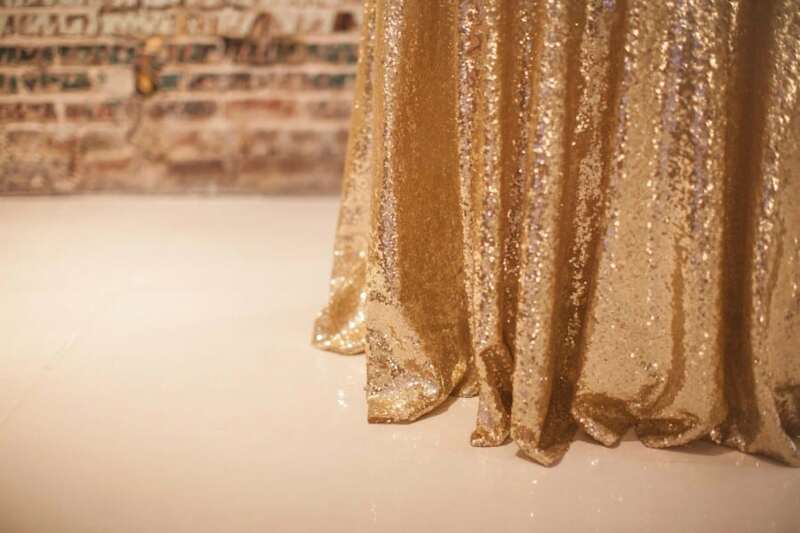 Here are a couple ways to tastefully bring on the glitter for your big day! There’s no need to wait until your big day to start the sparkle. These adorable invitations from Wedding Paper Divas‘ Shimmer collection are adorably unique. They are sure to start your guests off with a cheerful impression of your wedding! -Or an entire gown made of glitter gold! And all of these designers can be found at Ivory White Boutique in Birmingham! Now, we all learned from our Best Cakes of 2015 blog that your cake can be used to show off any reflection of you and your groom or even add a touch of flair to your wedding. But your cake isn’t the only thing that can be used as decor! For you crafty brides out there, don’t forget about those DIY projects you have on your Pinterest page. Creating your own glitter vases or candle holders to scatter around the room is a great way to add a touch of shimmer here and there! 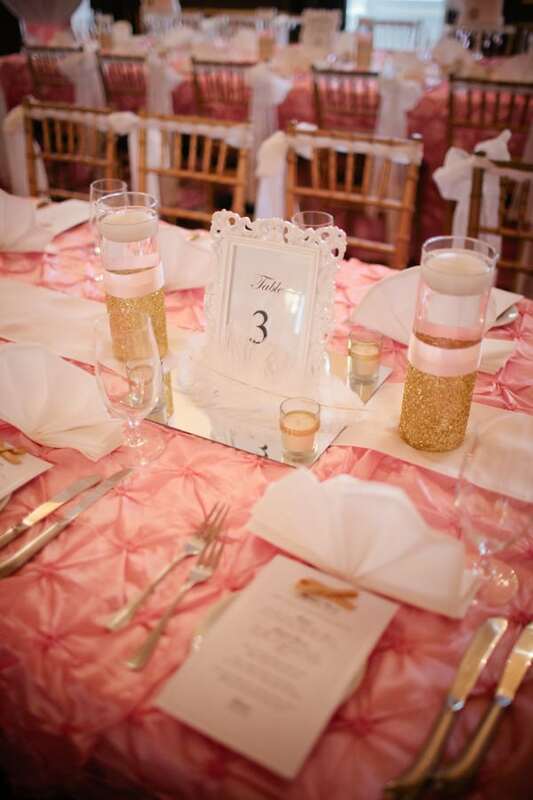 And last but definitely not least, don’t forget to bring on the glitter with your Decor to Adore linens!